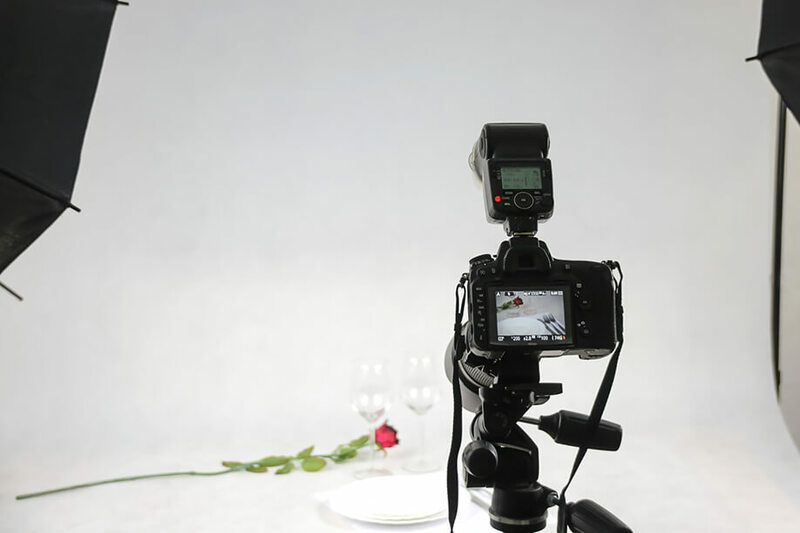 So, you’re a blogger looking to up your photography game? Great! You’ve come to the right place! If you want to boost your Instagram likes, have people pinning your photos like there’s no tomorrow and get hundreds of retweets that’ll make your phone go crazy with notifications, then this is the article for you. It’s actually incredibly easy to improve your photography without buying lots of expensive equipment. With that in mind, here’s the ideal photography kit for any blogger. First of all you’re going to need a camera. To be honest with you, it really doesn’t matter what camera you’ve got as long as you know how to use it. 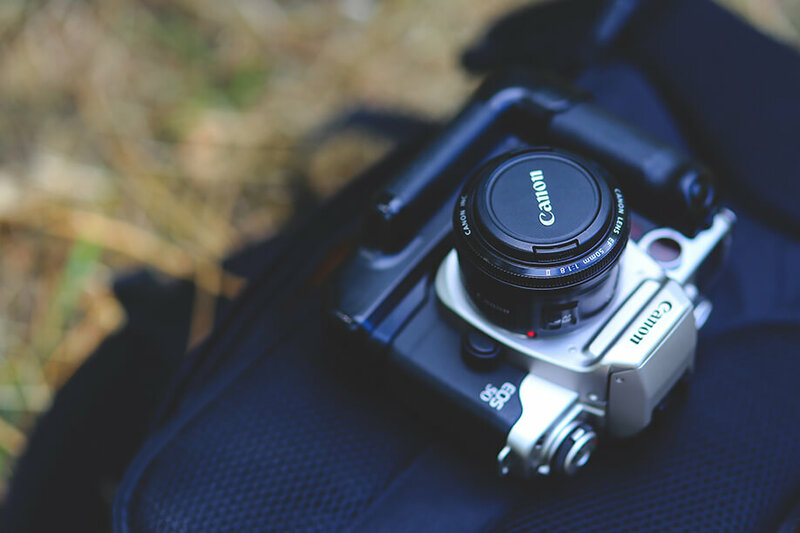 Does having a Canon 5D Mark IV make you a better blogger or photographer? No, of course not. Whatever you’re using, just make it work for you. 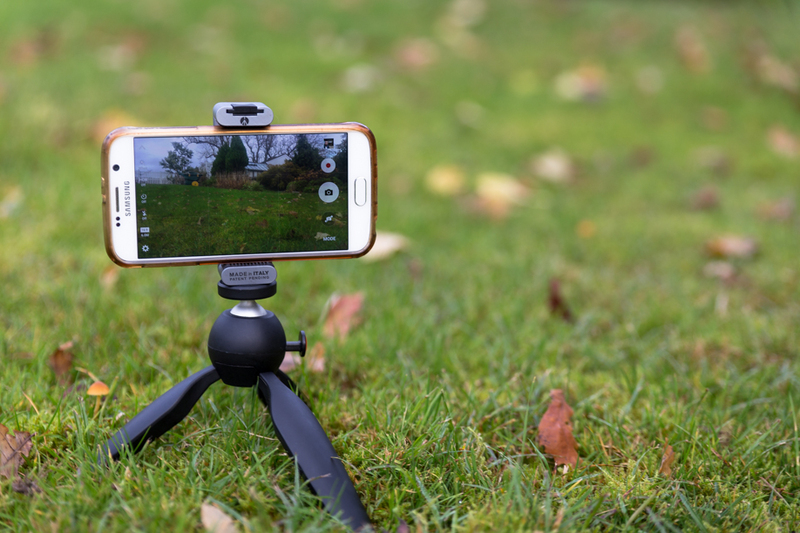 Once you’ve got your camera, one of the first pieces of kit you’re going to want is a good tripod. Why? 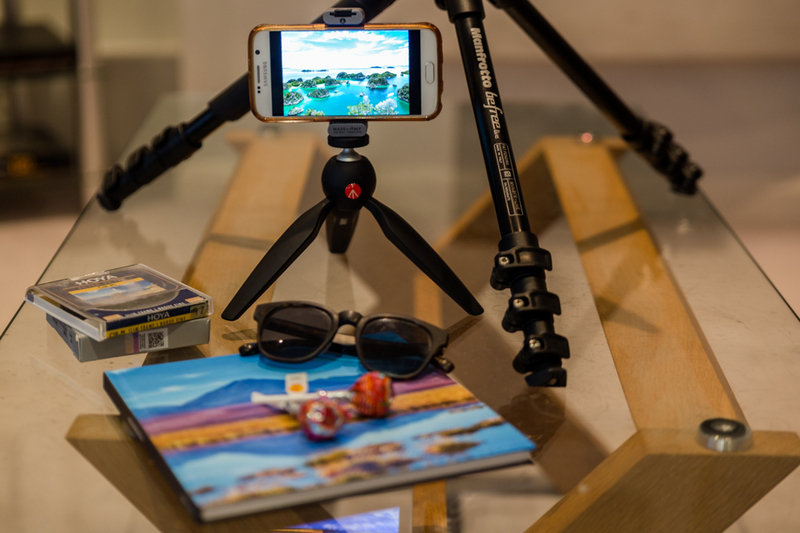 Well, you can use a tripod in low-light situations, to do long-exposure photos, timelapses, those sorts of things. All of these types of photos are actually a lot easier to do than you’d imagine (here’s a tutorial on long-exposure photography for you), and they’ll really take your photography to the next level. Also, if you’re travelling on your own and you want a very artistic shot of yourself that’s not a selfie then a tripod is key. 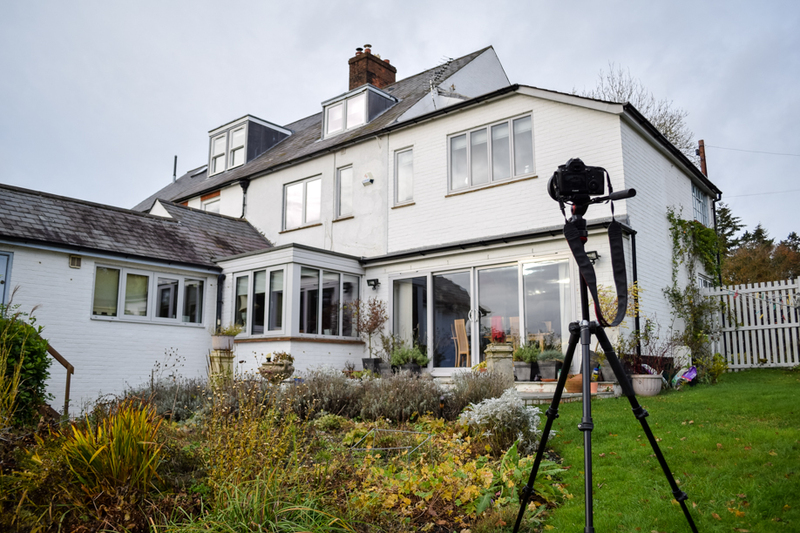 However, the problem with a lot of tripods is they’re big and cumbersome – that’s where mini-tripods come into play. Most bloggers are happy with the standard kit 18-55mm lens that comes with their camera, but for less than £100 you can buy a 50mm f/1.8 prime lens. The glass in this lens is infinitely better than the glass in the standard kit lens. What does this mean? Much sharper images. Also, the aperture number, the f/1.8, is much lower than your standard kit lens. This means you can take photos with that beautiful blurred background and in much lower light too. Even though the 50mm lens isn’t good for landscape photography, it is exceptional for street and portrait photography, and you’ll immediately see the difference in quality when using this lens. 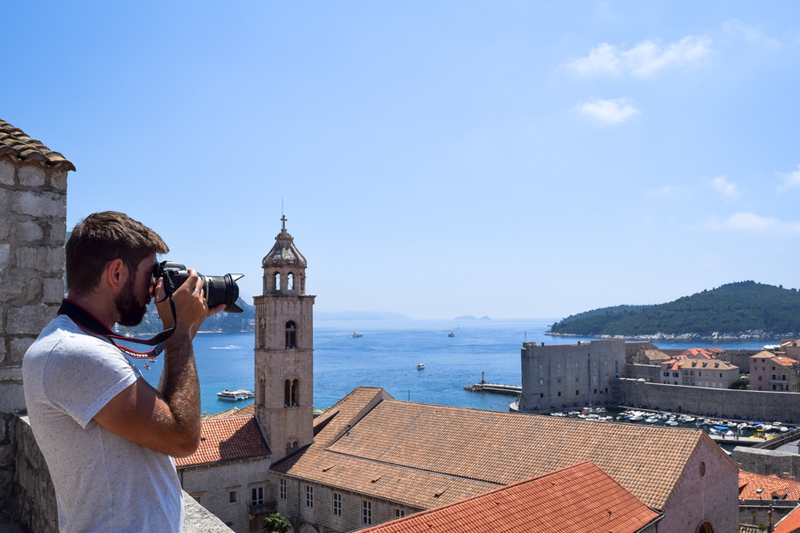 Whether you’re a travel blogger always on the road or a lifestyle blogger at home, the chances are you’ll be using your camera almost every day. Like with any piece of technology, you really need to make sure you keep everything in good condition. One of the major downsides to using your camera every day is dust particles are likely to get onto your sensor. Even though these aren’t damaging to your camera, they are damn annoying when dust spots start appearing on all your photos. That’s why it’s important to get a good cleaning kit. Things like a rocket blaster removes the dust from the sensor, and a cleaning brush physically removes those dust motes too stubborn to be blown away. Everyone knows the best time for photography is that magic hour around sunrise and sunset. How many of us ever utilise that light though? Not many. That leaves the rest of the day to shoot in, but taking photos in direct sunlight can create very harsh shadows. That’s why a diffuser and reflector kit are essential. A diffuser cuts out harsh light and cools things down a little bit, and a reflector does the opposite in cloudy situations adding more light into your photos. You’d be surprised at how effective a diffuser and a reflector can be. If you’re looking at setting up a home studio for filming and vlogging then consider getting an LED light and some colour filters. Lighting is so important in bringing out shadows. You know that awesome effect when vloggers have those bright lights in their eyes? They’re literally bright lights in their eyes. Or at least in front of their eyes. Coloured filters really make a subject look different. Filters are particularly great for food photography splashing subtle colours over a plate and subject area. Again, these aren’t expensive, and they’re really useful in a number of shoots. The thing about photography is it’s a little like Pokémon – you’ve got to catch them all, but you’re not going to catch them all at once. The same can be said with your camera gear. If you buy everything all at once, a) you’re not going to have time to learn how to use each item individually, and b) it’s going to be very expensive! However, if you buy one item at a time, get to know how it works, see how it improves your photography, that’s great. Then you can move onto the next item. That’s really one of the best ways you can improve your photography, and this kit really is ideal for any blogger! Macca Sherifi is a blogger, photographer and presenter who has worked in the travel industry for the past five years. He has travelled to over 70 countries, volunteered in Bangladesh and worked in both China and Australia. He’s also one of the creative producers and presenters over at A Brit and a Broad, the award-winning travel video blog.